There&apos;s a chill in the air and darkness cloaks the city — be brave and explore the haunted side of Chicago. 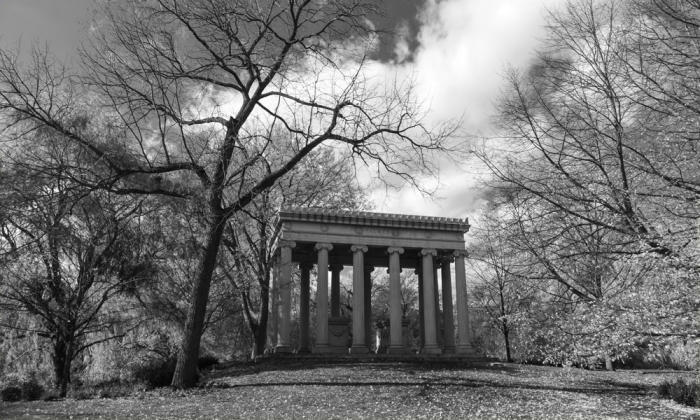 Join Adam Selzer, author, podcaster, and host of Mysterious Chicago Tours, leads spine-tingling walkabouts that dig into the zoo’s cemetery roots and alleged hauntings. Tours take 75 to 90 minutes, and participants must be aged 16 and older. Nathan Leopold and Richard Loeb dreamed up the perfect murder, or so they thought, kidnapping and murdering a young boy on May 21, 1924. 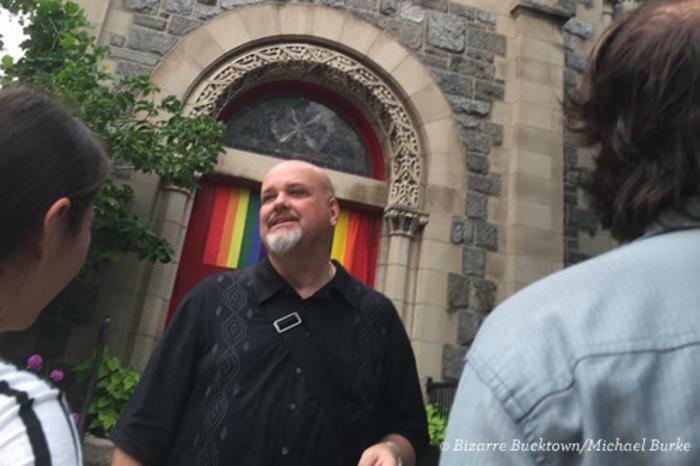 Tour the Kenwood neighborhood with author and historian Paul Durica, visiting the scene of the crime and other sites connected to the murder of Bobby Franks. Tales of strange sounds, unexplained sightings, and untimely endings await as you explore Prairie Avenue after dark! 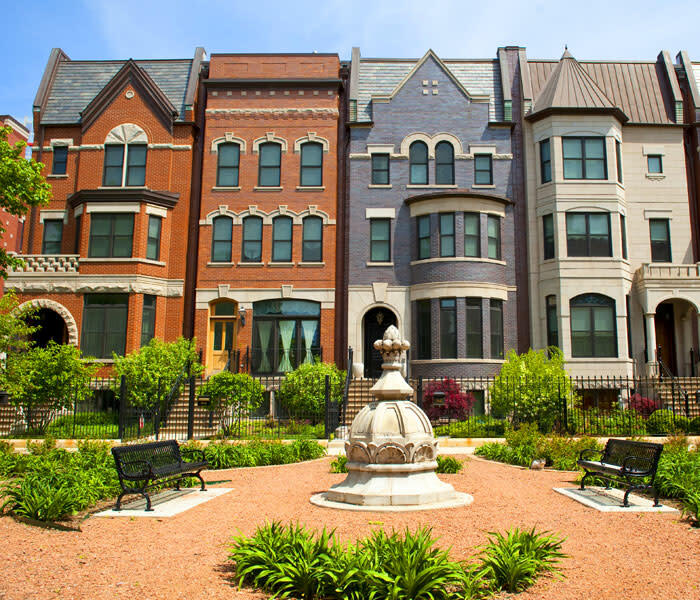 During this 60-minute walking tour through the Prairie Avenue Historic District, you&apos;ll learn about the mystery surrounding the death of Marshall Field Jr., the tragic events that plagued the Philander Hanford house, the lingering ghost of Edson Keith, and more. Pre-paid reservations required. Now in its fourth year, Bizarre Bucktown tells the stories of the neighborhood’s iconic factories, churches, and taverns. You&apos;ll hear about the hauntings, scandals, murders, and activism that belie the residential streets of this hip Chicago neighborhood. The tour will take you on a walk of just over one mile in about 90 minutes, beginning and ending at Walsh Park. Tickets are $30. In neighboring Wicker Park, Bizarre Wicker Park begins inside a Victorian parlor at the landmark (and haunted) Flat Iron Arts Building. You’ll learn about the snake oil tycoon, the beer baron, and the artists, radicals, and mobsters that built and shaped this popular neighborhood. The tour traverses just under a mile of the area, and takes about 60 minutes. Tickets are $25. Walk along the streets that H. H. Holmes (America&apos;s first serial killer) wandered as he stalked his prey. Get a glimpse of Chicago&apos;s sordid past with stories of the Everleigh Club and the 1900s Red Light district. And learn about downtown Chicago&apos;s infamous prison breaks. Tours take approximately 2 hours. Nightly Spirits Chicago has explored some of the most haunted bars, alleys, and buildings in Chicago to create an exemplary ghostly pub tour. You&apos;ll walk through alleys, creep around buildings, and get spooked with stories of murdered gangsters, mobsters, and ghostly apparitions. 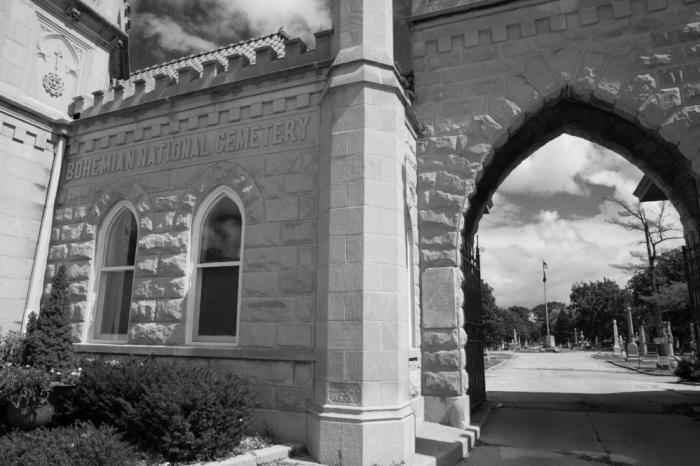 The tour begins at one of the city&apos;s reputedly most haunted pubs, the Red Lion in Lincoln Park, and then takes you on a one-mile journey. Tours last approximately two hours. Weird Chicago&apos;s newest addition brings you back to the dance hall nights of Chicago&apos;s Jazz Age. This adult&apos;s only (21 and older) tour in honor of Chicago&apos;s most famous ghost starts off with a tribute to the "original" Mary at the place she died, and then takes you on a 1930s-era pub crawl of haunted gin joints, taverns, and dives revealing some of Chicago&apos;s most haunted places. Check for even more ghostly tours from Weird Chicago. Seadog&apos;s narrated Haunted River Tours, which sail the stunning Chicago River, divulge the many secrets, spirits, scandals, and sins of the Windy City, with tales of mysterious supernatural occurrences and infamous figures. These tours are available Fridays-Sundays in October, as well as Halloween, and take approximately 75 minutes. While the tours are family friendly, they may contain sensitive content. East Bank Club Riverwalk, 500 N Kingsbury St. 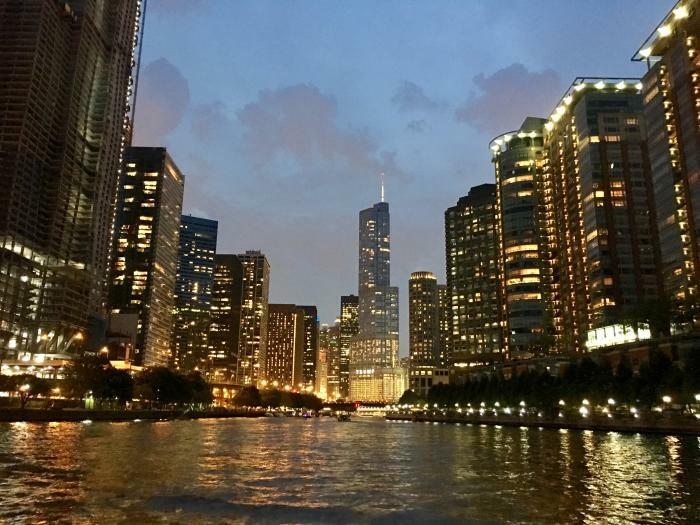 Experience a unique take on writer Nelson Algren’s Hustlertown, USA, as you kayak upon the illuminated surface of the Chicago River — at night! You&apos;ll paddle as a group, discovering locations with stunning views and amazing histories that give insight into the city’s early Wild West reputation, and the rise of powerful businessmen and mobsters, most famously Al Capone. Tours are approximately 2 hours, with a 25-minute pre-launch orientation. Your ticket includes either a single or double kayak, life vest, paddle, guide, and paddling lesson. For a boat option that is less tricks and more treats head to Navy Pier. Mystic Blue is hosting a family-friendly lunch on the water, filled with costumed cruising, delicious bites, onboard games, treats for your sweet tooth, spooky decorations, and DJs spinning Halloween jams. Stick around after the cruise, or come a little early, for trick-or-treating at the Pier. With accolades from Time Out Chicago, Better Homes & Gardens, and Chicago Magazine, among others, Chicago Hauntings Ghost Tours features a wide range of tour options and areas of focus, including the Loop & River North Ghost Walk, Haunted Lincoln Park Walking Tour, and Ghosts & Hauntings of Chicago&apos;s Northwest Side. 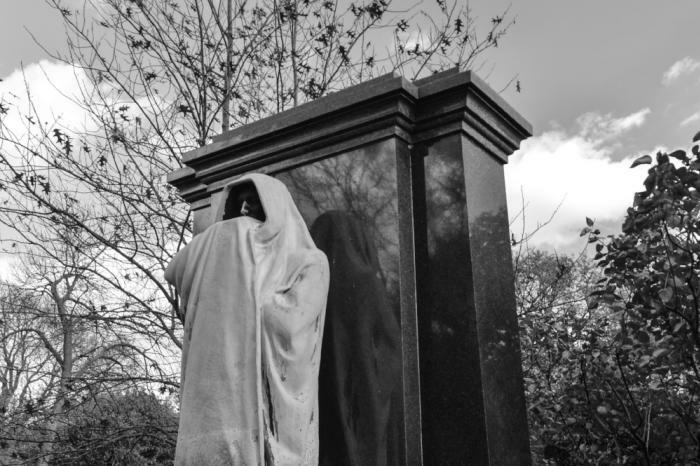 For October 2018, Chicago Hauntings is featuring something a little bit special — the Resurrection Mary & Archer Ave Tour, which focuses on the city&apos;s most infamous (and perhaps most sighted) ghost. The 4-hour tour includes a stop at Chet&apos;s Melody Lounge for light appetizers. Glide around the city on a Segway at the dead of night to discover Chicago&apos;s true ghost stories and view the site of some of Chicago&apos;s most appalling disasters. Among the many stops on the tour, you&apos;ll experience places such as "Death Alley" and Buckingham Fountain, and hear stories of Al Capone&apos;s haunted yacht, and the famous gangster&apos;s affiliation with a notorious Michigan Avenue hotel – allegedly the most haunted hotel in the city. Hop on your bike and peddle across the city, touring the likes of a former cemetery along the lakefront where bodies still remain, the riverside site of Chicago&apos;s biggest disaster, and the site of several Resurrection Mary sightings. You&apos;ll find a mix of ghosts, gangsters, true stories, and supernatural tall tales on this bus tour. Weird Chicago doesn&apos;t just drive past Chicago’s spooky places but instead lets you experience them first-hand over the course of 3 hours. H.H. Holmes stands as one of the worst serial killers in Chicago history, and reportedly America&apos;s first serial killer. Anyone who entered his infamous Murder Castle risked meeting a bloody end. Inspired by Erik Larson’s best-selling book Devil in the White City, this 3-hour tour will take you back to the 1893 World&apos;s Fair and Holmes&apos; reign of terror.